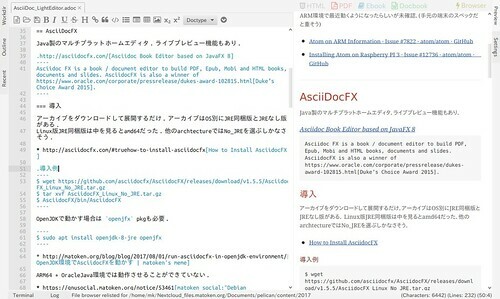 Asciidoc FX is a book / document editor to build PDF, Epub, Mobi and HTML books, documents and slides. AsciidocFX is also a winner of https://www.oracle.com/corporate/pressrelease/dukes-award-102815.html[Duke’s Choice Award 2015]. Gtk-Message: Failed to load module "overlay-scrollbar"